We want to achieve an overview of caving areas and to provide a proper documention of caves and karst areas to the Myanmar authorities. This guarantees a basis for further research and development. All results are published in books or articles and are presented at international conferences. 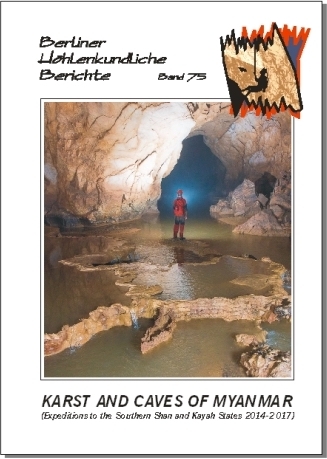 The cave maps with detailed descriptions and photographs of our expeditions 2009 - 2017 are published in English at the well known expedition series "Berliner Hoehlenkundliche Berichte". 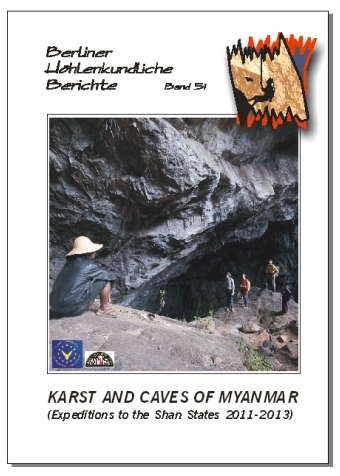 Please order for worldwide shipment the "Karst and Caves of Myanmar" Part I Vol. 39, Part II Vol. 51 and Part III Vol. 75 at www.speleo-berlin.de, speleobooks.com or www.speleoprojects.com. "Karst and Caves of the Shan plateau in Myanmar"
"Kayah - River Caves in the land of the red Karen" (German/French only). "Speleological epxeditions to the Shan Plateau in Myanmar (Burma)". A good overview of areas and exploration results until 2013. 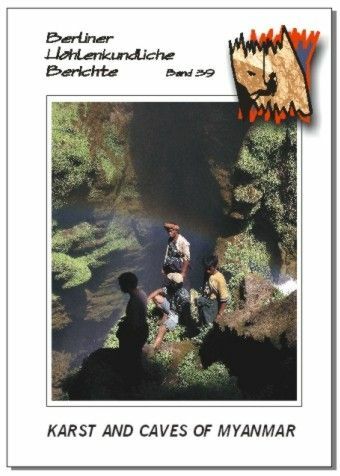 This article started the expeditions to the Htam Sam Cave in Hopon in 2010.